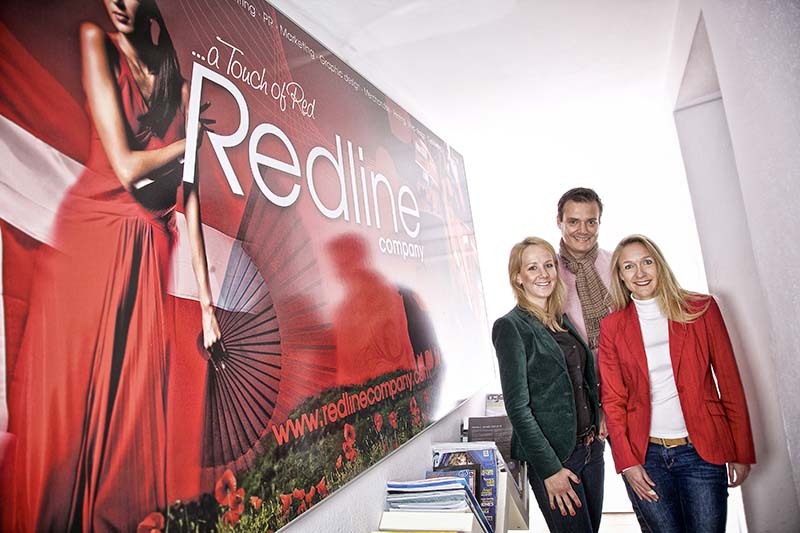 Red Kodiak Winner of Redline Company’s 9th Anniversary Competition | Marbella Marbella – Adelante! Redline Company is thrilled to announce that Red Kodiak has been selected as the recipient of a free professional website designed and built by Redline. Although newly incorporated the company is already proving a success commercially and also ethically by providing contracts only to Spanish suppliers. Red Kodiak is a procurement company which provides furniture, fixtures and equipment to national and international clients using only Spanish suppliers, thereby bringing in much needed orders to Spanish companies. They fly the flag for Spanish products, which are currently very competitively priced against Indian and Chinese competitors and better quality, as they adhere to EU manufacturing standards. Redline Company held the competition as a way of giving something back to the community as a way of celebrating 9th years as the Costa del Sol’s favourite external marketing department, so it was important that the winner would also be of benefit to the community. Line Lyster Managing Director of Redline Company says, “We would like to thank everyone who entered the competition, we were very impressed with each and every application. However, we particularly like Red Kodiak’s model of providing Spanish suppliers with contracts from international companies, thereby potentially saving hundreds of Spanish jobs. They have already won two major procurement contracts for northern Spanish suppliers ….so imagine what they can achieve with a professionally designed website”. Kathrin Lündsted, Managing Director of Red Kodiak, explains, “We are delighted to have been chosen. We’ve already met Redline, attended a photo shoot and discussed the website. We’re really looking forward to launching our new website”. An article outlining Red Kodiak’s business and objectives will be featured in the next issue of Redline’s online Magazine. For further information about Red Kodiak contact Redline Company on 952 816 678 or email press@redlinecompany.com or visit www.redlinecompany.com to sign up to receive the magazine direct to your inbox.